Oh my goodness, you guys, this book. I'm not sure I can actually come up with words to express how I feel about Men We Reaped. I'm tempted to say that I loved it, but that feels inaccurate, because I hate that it needs to exist. I'm tempted to say that Ward's writing is beautiful, but that does the horror of her stories an injustice. I'm tempted to say that I found this story unexpectedly readable, but that belies the difficulty of the subject at hand. And so I'll settle on recommending it, and praising the power and honesty in Ward's memoir, and doing my best to explain why it resonated with me, a middle-class white woman who's never lived in the South. Men We Reaped weaves together two main stories: that of Ward's childhood (her earliest memories as a child, the growth of her family, her parents' difficult marriage, her struggles as an outsider in a mostly-white school) and the story of the men in her life who died too young (a friend, her sister's boyfriend, a cousin, her brother). Ward's memories of her own life move forward through time, while her recounting the lives and deaths of the men she's lost moves backwards through time. These opposing chronologies jarred me a bit at first. Ultimately, however, I think the two timelines made the moment of her brother's death--the point at which the chronologies merge--all the more powerful, which proved fitting for the loss that most shook her world, most challenged her understanding of grief and sadness and loss and oppression, most changed her perspective on injustice. It is tempting to view the deaths in Ward's life as disconnected from one another, but Ward's story proves otherwise. By embedding the lives and deaths of these young men in the context of her own lived experience, and that of her friends and family in Mississippi, Ward pushes Men We Reaped into an analysis of the poverty, racism, and systemic oppression that drove these men to die--and left a group of women to stand strong and mourn their passing. Men We Reaped is, as Ward wanted it to be, a testament to the lives of those who died to young, a reminder that they lived, they existed, and this happened. And it is also, importantly, a testament to the fact that the lives and deaths of the black men in her life were not mere accidents of chance, but inevitable outcomes in a world fixated on pushing people down instead of holding them up. 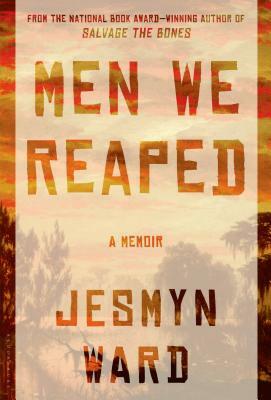 1) Men We Reaped is described as a memoir. While it draws on Ward's personal experiences, it also explores themes much larger than one woman's life. Do you agree with this genre classification? 2) In what ways do you think Ward's personal approach to this subject makes Men We Reaped stand out from other books that address similar issues? Did this make the book appeal to you more or less, or were you indifferent? 3) In more than one instance throughout the text, Ward writes about feeling silenced and voiceless in the face of overwhelming systems of inequality. Do you think Men We Reaped changes that position by giving her a voice? 4) Though Men We Reaped is about the loss of young black male life, it is also, in many ways, about the black women left to stand witness to the lives and deaths of those in their community. How does this gendered perspective change the story of the high mortality rate among young men of color? 5) If you could ask Jesmyn Ward any one question about this book and/or the experiences she recounts within it, what would it be? *With sincerest apologies for sharing this post and these discussion questions so late in the game; last week got away from me! Feel free to link to your own thoughts below, or leave a comment on this post! The club will skip December (because let's face it, we all have enough going on around the end of the year...) and restart again in January 2017. We'll continue with the every other month format. I'll announce the list of the six books for the 2017 club in early December. If there's something you'd like the club to consider, please submit to this form! If you'd like to receive emails about the club's plans for 2017, shoot me a note at ofabookworm AT gmail DOT com and I'll add you to the list.